Size of this JPG preview of this DJVU file: 376 × 599 pixels. Other resolutions: 151 × 240 pixels | 301 × 480 pixels | 377 × 600 pixels | 482 × 768 pixels | 643 × 1,024 pixels | 1,950 × 3,104 pixels. 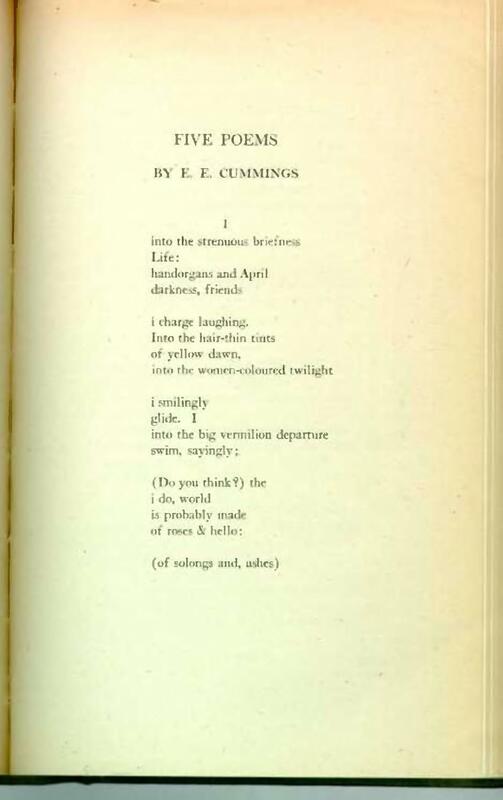 English: A collection of poems, entitled Five Poems, by E. E. Cummings, published in The Dial magazine in May 1920. This page was last edited on 4 December 2014, at 08:42.